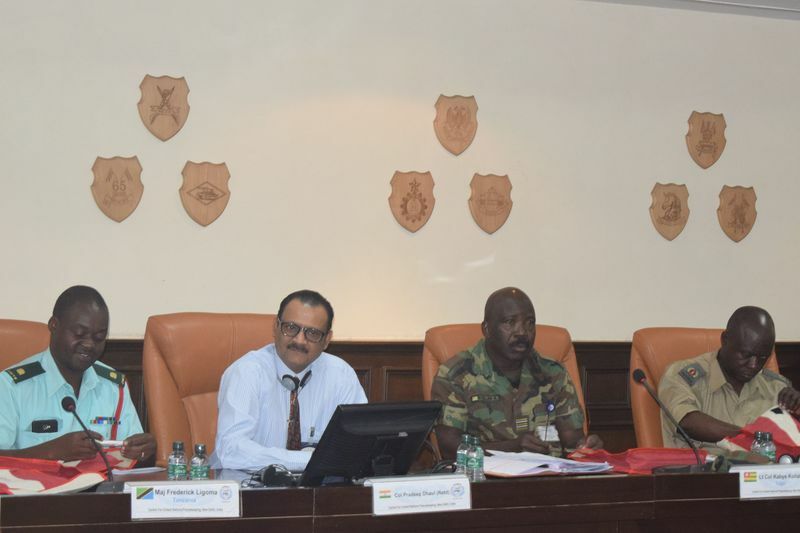 The ICRC New Delhi regional delegation conducted briefings for 45 armed forces officers as part of the three-week UN Peacekeeping Course for African Partners (UNCAP) organised by the Centre for United Nations Peacekeeping (CUNPK) in New Delhi. The dissemination session helps the officers proceeding with UN missions abroad get acquainted with the ICRC mandate and international humanitarian law (IHL). UN peacekeepers are mandated to protect the civilian population in the area in which they are operating and are required to ensure compliance with all relevant bodies of domestic and international law – including IHL where applicable. The CUNPK organises three international and nine national courses for these officers every year and IHL is part of the curriculum. For UNCAP this year, the ICRC was invited to deliver the presentation on ‘ICRC, IHL and its applicability to UN Peacekeeping Operations’. 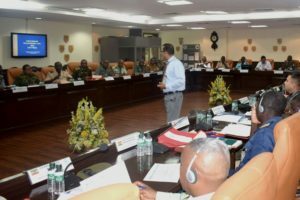 Thirty-six officers from 19 African countries, two each from US and India and five alumni instructors from US and Africa participated in the dissemination session.